An introduction to cyber security: it’s not all doom & gloom! Television has lied! Cyber security is more than just hackers sitting in dark rooms proclaiming we’ve accessed the mainframe! This talk will introduce you to the many hats in cyber security and highlight the importance of diverse minds and skills and how you can begin your journey into security. Stephen Chapendama is an Assistant Systems Consultant within the Infrastructure Development team for the University of Hertfordshire. Previous roles include working for BlackBerry & Bulletproof Cyber Security with a focus on Networks and Cyber Security. Stephen is also a Technology Consultant for Foundervine helping support tech enablement, community engagement and program coordination. 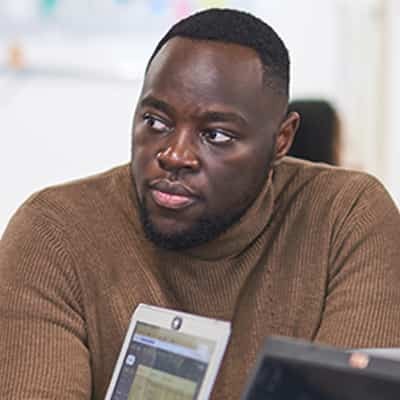 Stephen is passionate about opening the door into cyber security for others and in 2016, Stephen was awarded a Diamond Fund award by the University of Hertfordshire to start Bantu Tech, a cyber security platform to provide and assist small businesses with cyber security challenges.